We all have different interpretations on what "basics" really are. Basics for me typically means the comfortable pieces I wear day-to-day, whether its black leggings or skinny jeans, these are the essential pieces needed to create simple to stylish looks. As our wardrobes transition into spring attire, I've decided to venture out and add a few new basics to my wardrobe collection. With the help of a chic US brand named Revolve, I have reshaped the foundational pieces that help to build the perfect Spring outfit. 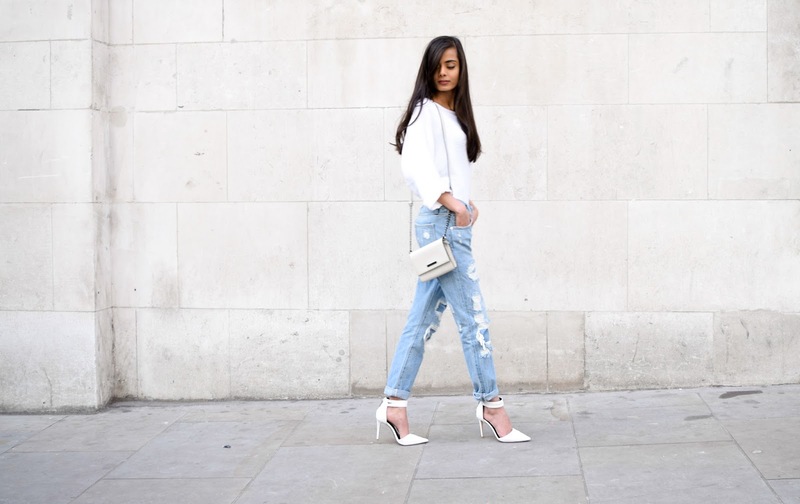 I've started with pieces like these classic blue boyfriend jeans from Lovers + Friends & white knitted jumper. 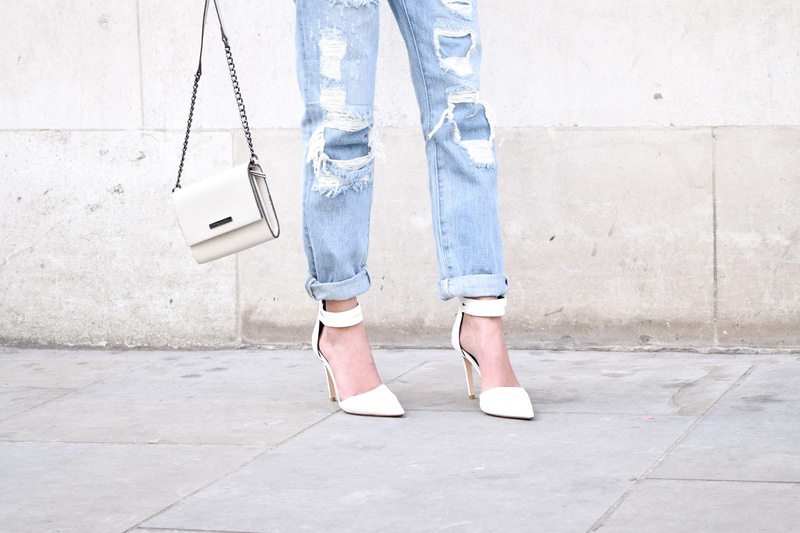 I personally love boyfriend jeans as it helps to channel my inner tomboy style but I always finish my looks with a feminine touch in this case, a simple Armani Exchange cross body bag & pointy white heels from RAYE. You can now shop the full look below!